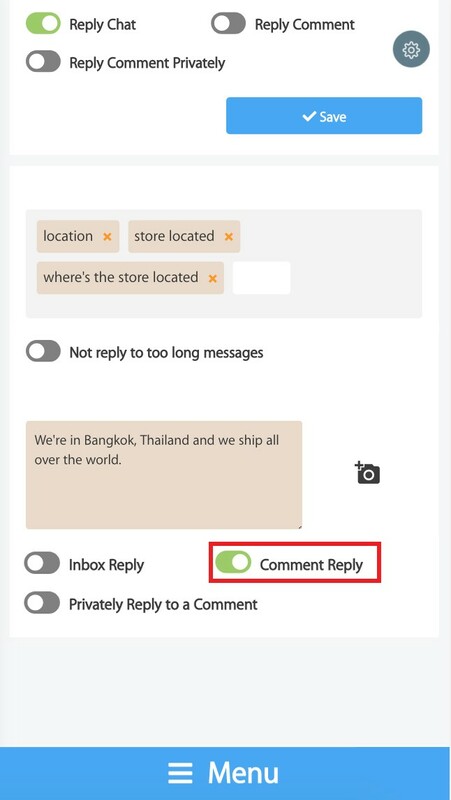 This tutorial goes over how to set up auto-reply messages for comments matching predefined keywords. 1. 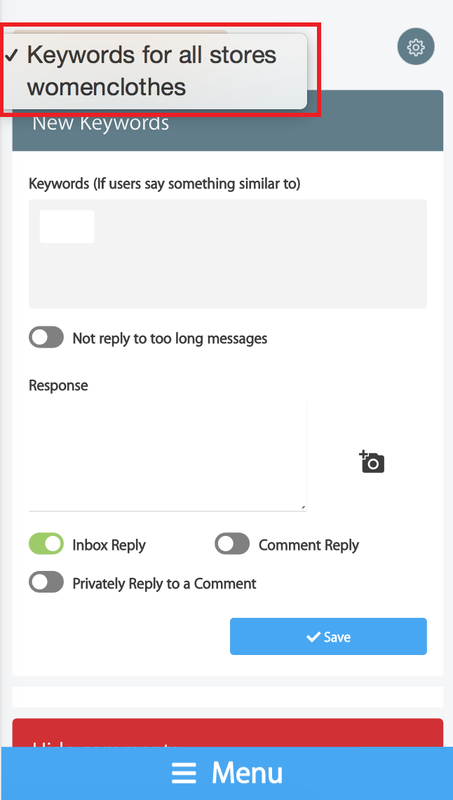 Navigate to the "Keyword Replies" menu. 2. 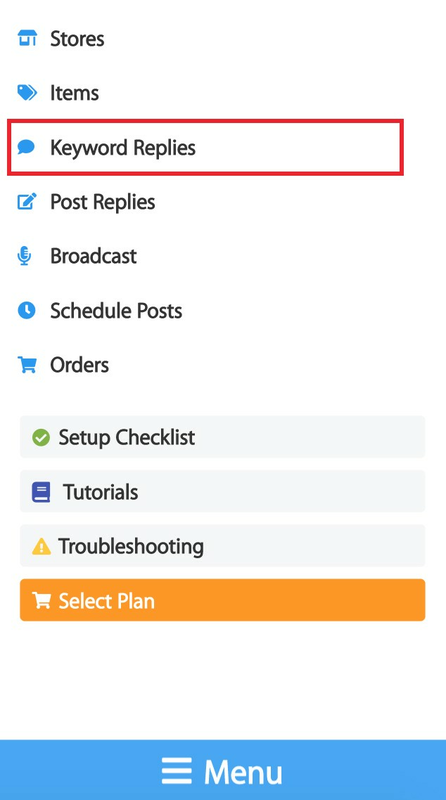 Select a specific store for which you wish to use this feature. Otherwise, select "Keywords for all stores." 3. Enter the keywords and corresponding response messages. Turn on the "Comment Reply" setting and click "Save." 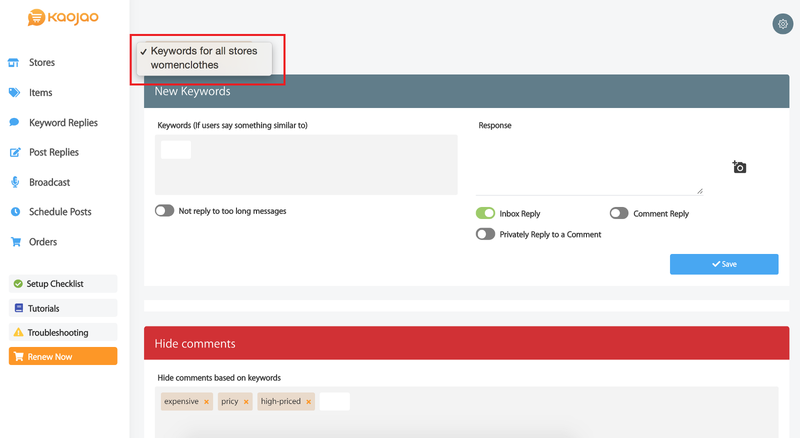 When a customer comments on a post with identified keywords, the store will reply back with the set message automatically.